So one day when in Tesco I found that they had discounted a large amount of their skin care and beauty items, many seemed damaged and it honestly looked like a shelf must have collapsed and they had to discount everything. 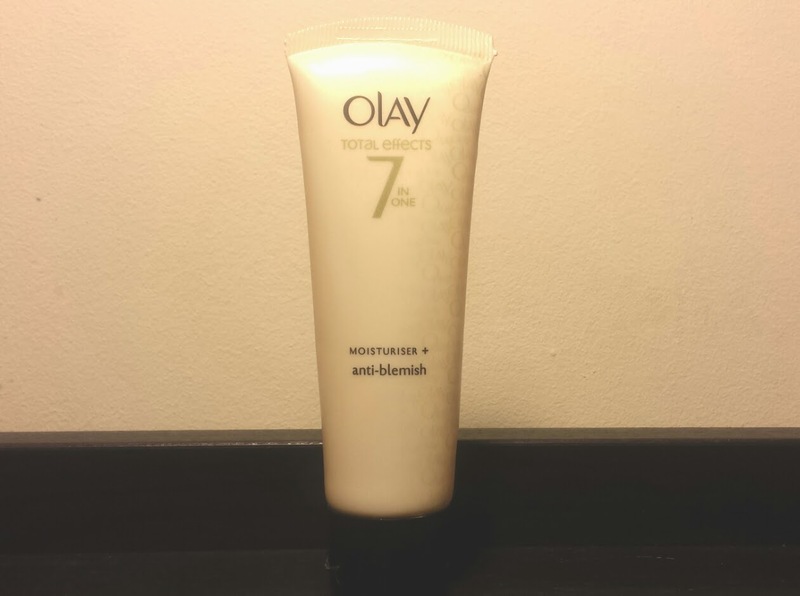 Amongst the ruins I found the Olay Total Effects 7 in One Anti Blemish Moisturiser. At first I was put off by the 'anti-aging' claim as being in my 20's, its not what I am looking for yet. Then I saw that it was anti-blemish and actually very cheap due to the discount so I thought I would give it a go. Straight away I noticed a difference and this only got better over time. The best thing I noticed was that it does live up to its claim regarding its 'anti-blemish' properties. It contains Salicylic Acid, which is known for its great anti-blemish properties and is widely used in acne and spot treatments. I noticed a significant improvement in the number of breakouts I had (basically 0) after a couple of weeks. I also like that it feels very calming on my skin. It is not heavy, it is light but and silky but not watery and feels very nourishing. It sinks into the skin really well and feels quite refreshing. I find it also sits nicely underneath my make-up. I think it is a great all round moisturiser. I would highly recommend purchasing if you have been struggling for a while to find a nice, reliable, balanced moisturiser. Especially if you struggle with breakouts and slightly troublesome skin. Thanks! Do you find it better to use one consistency better or do you find changing frequently to be more beneficial?